This guide will tell you how to find best server for you with lowest pings/latency. People generally complain about ping/latency or lag problem, as latency/ping depends upon the distance of you from the server, more distance means high latency so first thing you are gonna do is to search the server closest to your place. 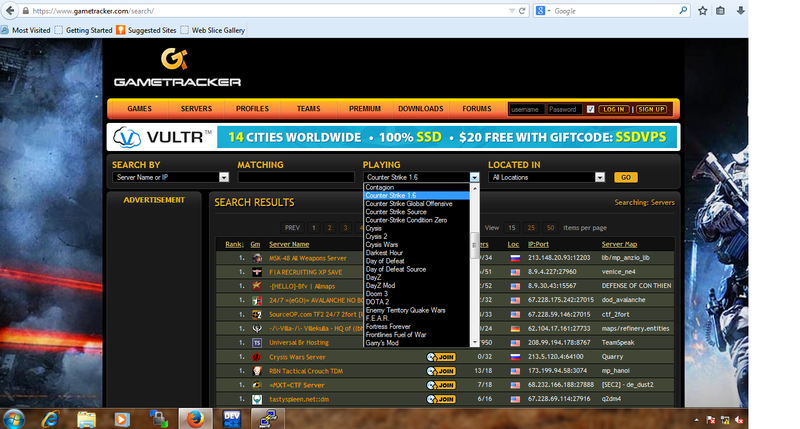 Now select "Counter Strike 1.6" from "playing" tab. Now select your country from "Located in" tab. Now click "GO" and Results will be displayed. 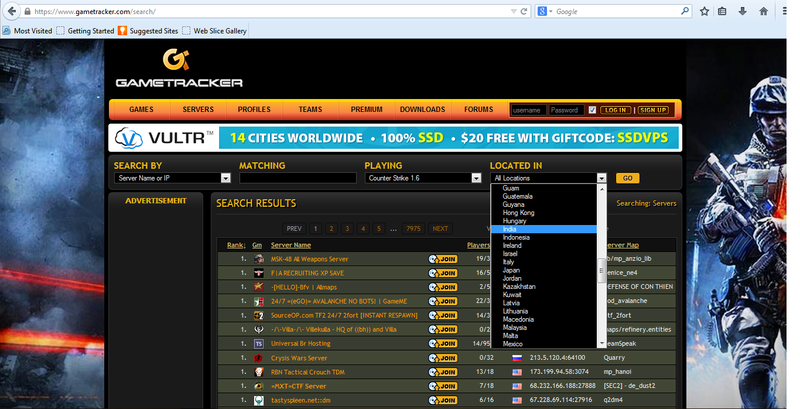 Now from the list you can select the server of your choice "current players", "map" etc and you can check the latency.